It’s fair to say that many boxing fans aren’t exactly enthralled by the heavyweight division right now. Wladimir Klitschko, the ruler of the division, holder of three of the recognised world titles, RING and TBRB champion, may well be an excellent boxer and he may be able to pack stadiums and bring in huge TV ratings but outside of his powerbase in Continental Europe there is a certain wave of antipathy that greets that the announcement of an upcoming bout. As things stand he is head and shoulders… literally and figuratively… above most of those who wish to challenge him and it would take a very brave or very foolish man to believe that his latest challenger, Australian, Alex Leapai, will be anything but overmatched. Now, there can be a certain joy… albeit a perverse and sadistic one… in watching an overmatched opponent be defeated in boxing but Wladimir’s current style, a triumph of effectiveness over emotion, robs most bouts of even that. His last victory, a one-sided decision over Alexander Povetkin, may have featured four knockdowns and some of the most one-sided scorecards I can recall seeing but it also featured 160 clinches, almost all initiated by the Ukrainian champion and the reaction from most fans in the English-speaking world fell somewhere between ambivalence and outright hostility. 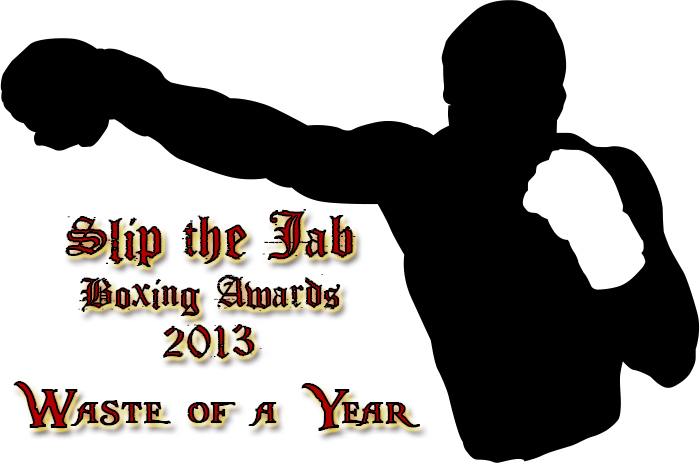 Put simply, people want there to be a boxer… any boxer… who can challenge Wladimir and actually stand a chance. 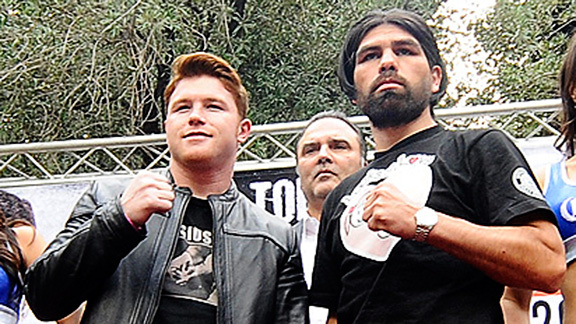 Some thought Haye could… he couldn’t. 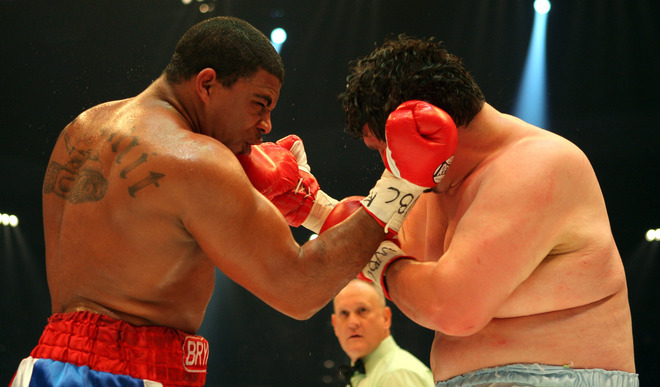 Some thought Povetkin could… he couldn’t. No-one thinks Leapai can… and I doubt he will. But Odlanier Solis just might… and this weekend he has a chance to prove it. Julio Cesar Chavez Jr said that in the buildup to his rematch with Brian Vera that he was reinventing himself both proffesionally and personally. Gone were the old bad habits, the lax training, the poor diet, the smoking of questionable substances. In were discipline and control. And from the way hes started boxing this bout, he wasn’t just reinventing his life, he was reinventing his style. No-one can question Ricky Burns heart, desire or effort. But the simple truth in boxing is that sometimes, regardless of how often you watch Rocky, heart, desire and effort alone aren’t enough. 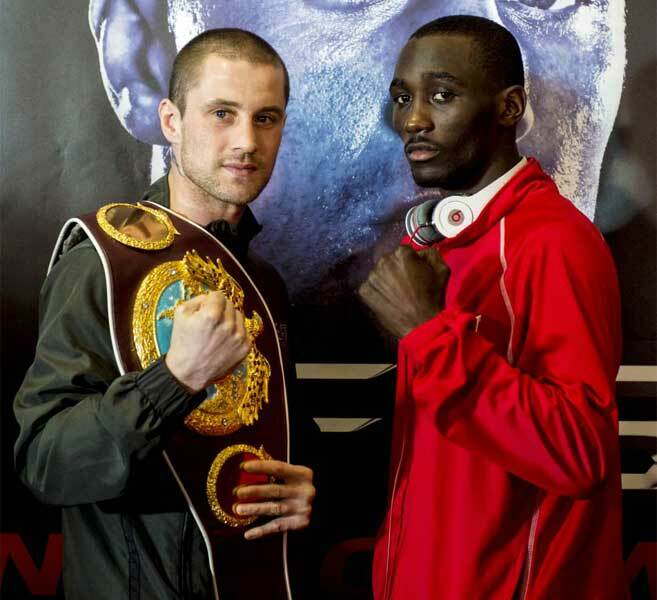 American challenger Terence Crawford came to Scotland and ripped Burns’ WBO 135lbs title from his grasp with a performance that combined speed, slickness, skill and a surprising amount of aggression. It was a total performance from Crawford, the sort those who have been watching him for a while have been calling for and despite Burns’ best efforts he simply couldn’t match his opponent. James DeGale told us he was finally healthy, injury free and able to perform on the level we’d hoped to see from him since he first turned pro six years ago. On the evidence of this bout perhaps injuries aren’t the only thing holding DeGale back. On paper (and Youtube footage) Gevorg Khatchikian appeared to be an accomadating opponent to showcase DeGale. Despite a 20-0 record there was very little depth there with his best victory being over an equally untested prospect who went on to lose five of the seven bouts he’s had since. 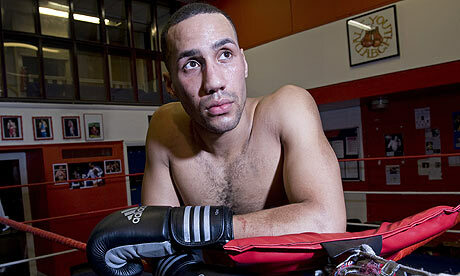 Limited, slow and somewhat crude he never appeared to offer much of a threat to DeGale. But he certainly had his moments. DeGale started the bout confidently, walking forward behind his jab, trying to counter the Armenian’s own punches and then hit the body when the pair came close. But in the second round he appeared to get overconfident, walking forward and throwing single shots as if he was looking for a spectacular one punch knockout. Khatchikian may not have been fluid or technical but he was willing, game and more than once he caught DeGale flush with right hands as DeGale’s defences failed him. The seventh round saw him land land a hard uppercut that went straight through DeGale’s defences and immediately followed up with an overhand right that staggered DeGale. Khatchikian wasn’t able to really follow up but DeGale as clearly hurt. Ladies and gentlemen, it’s time for a Floyd Mayweather Jr boxing match. And love it or hate it that means that boxing discussion over the next few months is going to be dominated by talk of him, his career, his opponents, his personal life, his place in history, his matchmaking and pretty much anything else both his “haters” and “fanboys” can think of to say about him. Opinion is certainly polarized; to some he’s the greatest of all time, a masterful boxer better than any to come before him who has never ducked or avoided anyone. To others he is a sham, a fraud, a boxer who cherry picks overmatched opponents, ducks anyone who may be a danger to him and who wins matches by running from his opposition. It’s easy to get lost in the chaos of a discussion about Mayweather Jr so below are a series of pointers on how to navigate a discussion about Mayweather without looking like a fanboy, hater or fool. 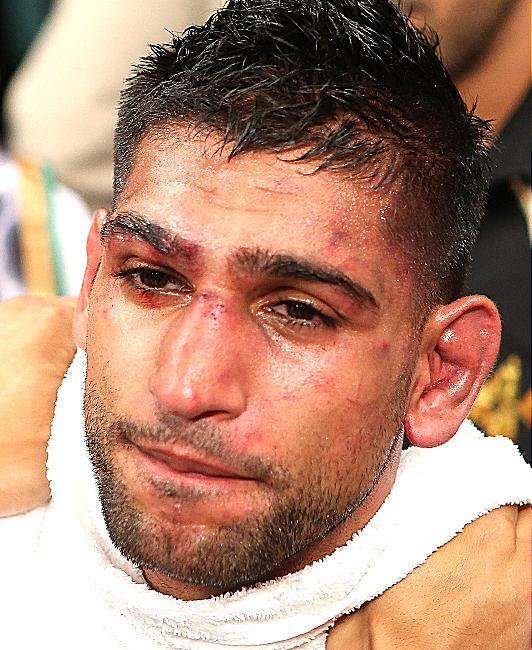 Why didn’t Amir Khan get to face Mayweather? More than one person has been made a fool of trying to predict Floyd Mayweather Jr’s next move. Not so very long ago after all, it was seemingly guaranteed that Mayweather’s next opponent would be Amir Khan. The announcement never happened… and next came a fan poll on who it would be. The results of this were somewhat confusing; on most boxing sites the answer was Marcos Maidana but on the official poll Khan (helped by a lot of twitter advertsing) had a late surge to take the lead. And of course, there had been rumours and “exclusive reports” long before that. But now it looks somewhat definitive. Khan himself says that he’s out of the running and that Maidana is the one about to earn millions of dollars and the chance, however remote, to enter his name in boxing’s history as the man who defeated Mayweather. I’ve been pretty dismissive of the Khan bout previously but despite that I can see why it was an attractive option. Khan has many flaws but what he undoubtedly has is speed. Khan would be the fastest opponent Mayweather has faced since at least Judah and arguably the fastest he’s ever faced. Much of Mayweather’s success has been built on being the faster man, pot-shotting and picking off opponents from the outside; could he do the same against someone quicker than him? 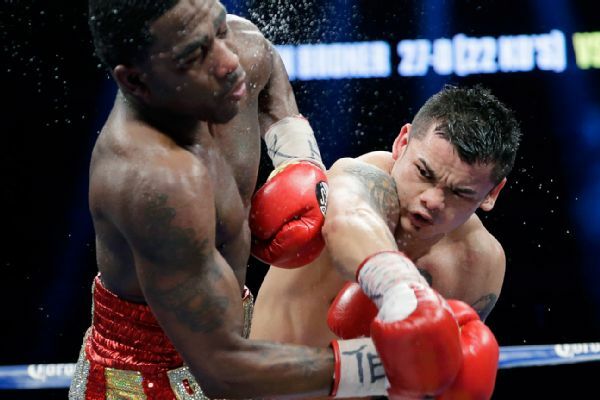 Maidana in contrast, despite technical improvements shown in his recent run that culminated in his defeat of the heavily hyped “new Floyd Mayweather” Adrien Broner, is still very much a brawler, an aggressive and powerful puncher who likes to draw boxers into a fight. We’ve seen Floyd against those repeatedly… and he tends to win and win well. Outside the ring Khan also seemingly offers a lot. Floyd likes to tap into other fanbases… it’s one of the reasons he boxes many fighters with Latino heritage, especially around Mexican Independence Day as it opens up that lucrative market. Khan may not bring them, but he does bring the UK fans and the UK has frequently proven itself as a solid money maker for boxers. Maidana in contrast may be a popular TV fighter but he has no real constituency to fall back on; fans of Maidana tend to be boxing fans as opposed to fans of individual boxers and thus would have probably watched anyway. So how is it that Khan didn’t get the bout when he had so much in his favour? Pacquiao vs Bradley 2 signed. Having signed a contract extension that keeps him with Top Rank (and thus likely ruled himself out of having a bout with Mayweather for the forseeable future) Timothy Bradley and Manny Pacquiao will meet up once more. To say the result of the first bout was controversial would be an understatement. I’m one of the few who considered the eventual result (a narrow split decision for Bradley) to be correct although I’d have been happy with any score between the eventual 115-113 Bradley to 116-112 Pacquiao. The bout was close with a number of close rounds and I think in the hyperbole about the decision it was often forgotten that neither Bradley nor Pacquiao was spectacular. Both men come into this contest with something to prove. 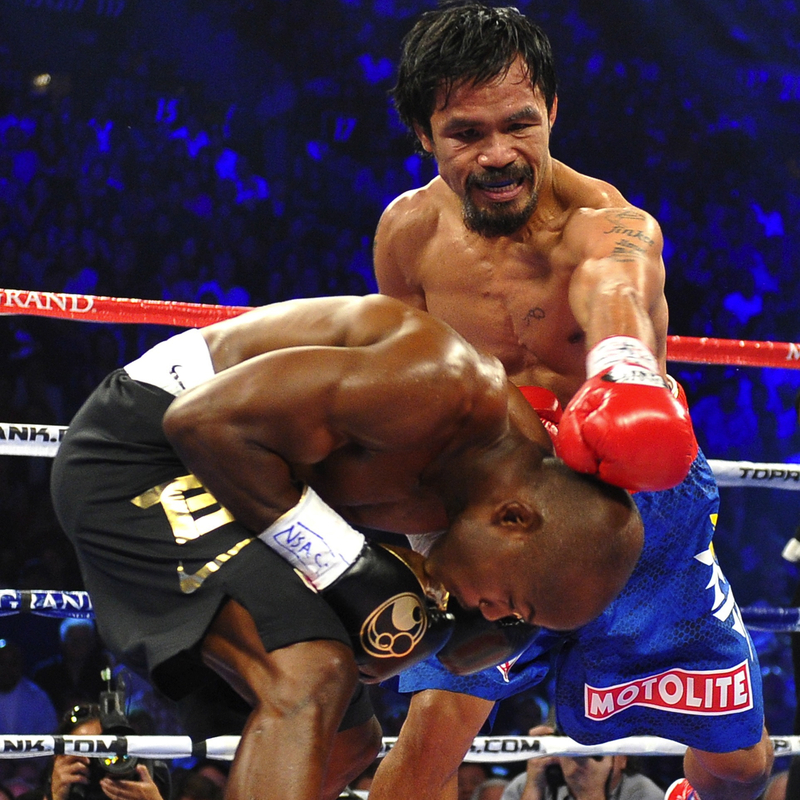 Bradley wants to prove the first contest was neither a fluke nor a robbery and that he is Pacquiao’s better. Pacquiao wants to prove he’s back to his best after some underwhelming performances and his chilling knockout loss to Marquez. In the pair’s last bouts they each took a step towards that, Bradley asserting himself as one of the best welterweights in the world with a crafty but comfortable decision win over Marquez while Pacquiao showed he wasn’t shot by utterly outclassing the hapless Brandon Rios. So what points should we consider going into this rematch? Solving the Problem: What went wrong for Broner and how can he fix it? Adrien Broner wasn’t used to this. He was The Problem. He was About Billions. He was the “Can Man” (because *gesticulating to imaginary opponents* he can get it and he can get it… apparently). He was first Mr HBO and then Mr Showtime. He was the next big thing, the new star to carry boxing forward, the apple of Golden Boy’s eye. He was the heir to Mayweather, the next love-to-hate superstar for whom the only thing that matched his arrogance and conceit was his talent and skill. Adrien Broner has long been used to people mocking him… but they were “haters” jealous of his success not fans taking a sadistic glee in his failure. Adrien Broner has long been used to “going viral”… but those were his own ill-advised entries on social media not Photoshops of him broken and beaten. Adrien Broner has long been used to being the headline… but that was him making them, not him being made into one. But what Adrien Broner isn’t used to is losing. Before his bout with Marcos Maidana, Broner was jokingly asking whether Maidana really want to box him or if instead Maidana had simply wanted to meet him in person. After the bout Broner was fleeing the ring as soon as the decision was announced, being pelted with rubbish by the fans in attendance to a chorus of boos. Early in the bout with Marcos Maidana, Broner had slipped behind Maidana and mockingly humped him. Late in the bout a dejected Broner could do nothing as Maidana slipped around him and did the same thing to howls of approval from the crowd. And in between Broner had been dropped twice, hurt repeatedly, forced into amateur dramatics in a desperate attempt to get a DQ win, beaten up, broken down and pretty much outclassed.